Hey there, lucky bride! A new year is nearly here, ushering in a new swoon-worthy wedding season. We went up and down the coasts talking to wedding experts and everyone agrees: 2014 will be the year of true romance. Weddings are going softer, sweeter, lusher and more heartfelt. It’s a return to classic chivalry, to the things that made our mothers cry, and it’s happening just in time for you to melt hearts and make memories. Pink is back! Do you already feel like a blushing bride? Carry that sweet love over to your color scheme, says Tara Guérard, the event designer behind ultra-luxe Soirée in Charleston and New York. “It’s the nudes, the blushes, the peaches — not Pepto Bismol pink!” she announces. The return to romance ushers in a new love for the formality of days gone by. Think white-gloved waiters and big band dancing, crystal candlesticks and gold-rimmed china. One major bridal inspiration for the return to tradition comes from Hollywood. “It’s the look of ‘The Great Gatsby,’” says Beth Helmsetter of Beth Helmsetter Events in Los Angeles. Her brides are still falling hard for the bubbly, approachable elegance of the Roaring Twenties. Lush, soft, Exquisitely romantic — the flower of the year is the many-petaled tree peony, says New York’s Ariella Chezar, whose work has been seen at the White House. Amber Gustafson of Los Angeles’s Amber Events picks a similar bloom — the sweet-smelling garden rose. Find out which flowers are in season for your wedding here. 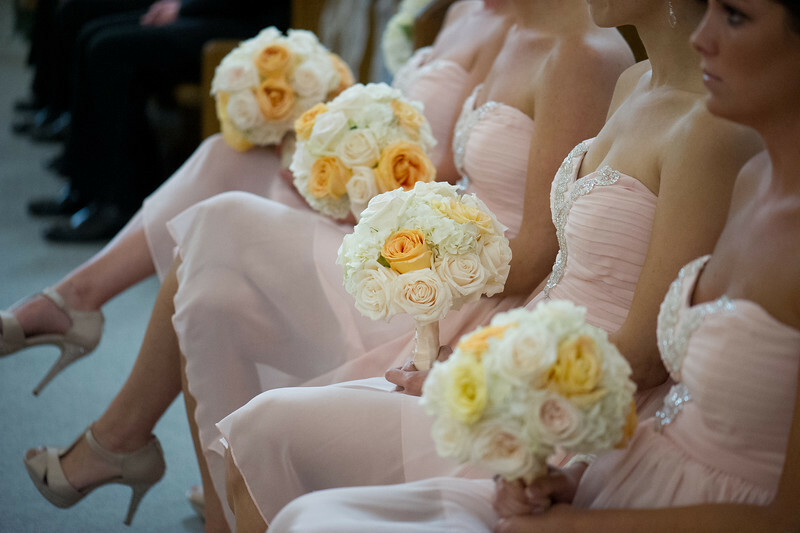 No matter how stunning your gown may be, your wedding day look won’t be complete without the perfect bouquet to complement it. There are two distinct styles for wedding bouquets, and each are heading down a completely different path. While many brides want their blooms to have a spare, elegant look, others are choosing to carry lush, romantic arrangements down the aisle. 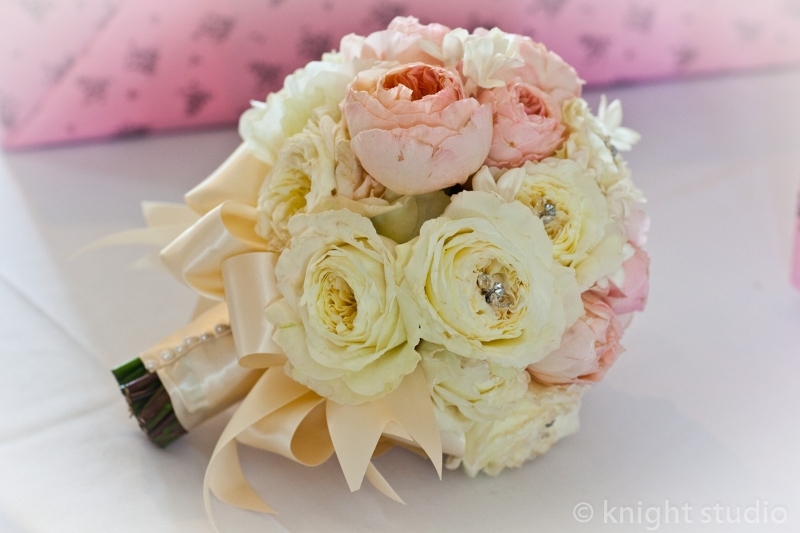 What’s more, while round, clustered bouquets are still immensely popular, the long and cascading look is on the rise. For this must-have wedding day accessory, check out our roundup of the most chic bouquet styles and ideas. Today’s hot bouquets fall into two categories. 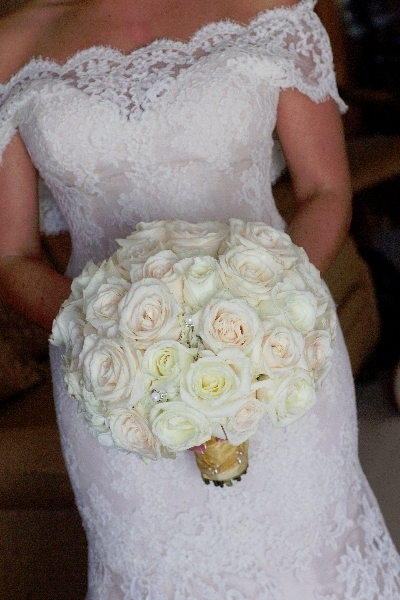 Many brides are going for the simplicity of a “monofloral” (all one flower) look. Monofloral bouquets coordinate quite well with contemporary or architectural gowns, so they’re often composed of sleek, structured flowers like mini calla lilies or cattleya orchids. However, the most prominent trend is romantic bouquets filled with an assortment of fluttery flowers with lots of petals — think peonies, ranunculuses, French tulips, and hydrangeas. Although it’s not yet widely used, one contender for the next in-demand bloom is the Yves Piaget rose. It’s a sumptuous flower that’s a profusion of petals, tying in perfectly with the lush bouquet trend.